The Third Edition of Chromatin: Structure and Function brings the reader up-to-date with the remarkable progress in chromatin research over the past three years. It has been extensively rewritten to cover new material on chromatin remodeling, histone modification, nuclear compartmentalization, DNA methylation, and transcriptional co-activators and co-repressors. The book is written in a clear and concise fashion, with 60 new illustrations. 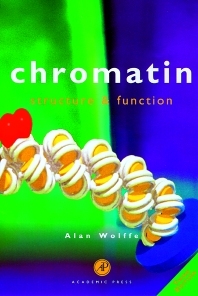 Chromatin: Structure and Function provides the reader with a concise and coherent account of the nature, structure, and assembly of chromatin and its active involvement in the processes of DNA transcription, replication and repair. This book consistently interrelates the structure of eukaryotic DNA with the nuclear processes it undergoes, and will be essential reading for students and molecular biologists who want to really understand how DNA works. Advanced undergraduates, postgraduates and newcomers to the fields of biochemistry, molecular biology, and cell biology. Preface to the first edition. Preface to the second edition. Preface to the third edition. Overview. Chromatin Structure. Chromatin and Nuclear Assembly. How Do Nuclear Processes Occur in Chromatin? Future Prospects. References. Index.